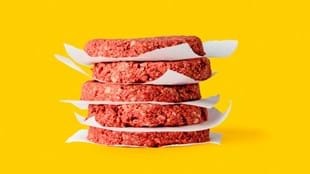 Meat, sorry, meet the “impossible burger” – an entirely plant-based, protein-rich burger whose inventors claim will be better for our health and our planet. With the world's population predicted to rise from about 7 billion to 10 billion by 2050, global demand for meat is expected to double over the same period. But where's all this meat going to come from, and how is it going to be produced? In answering that question, many consumers are already shunning meat for reasons including their health, animal welfare, and concerns about the environmental impact of farming animals. So the search is on for alternative protein sources to fill the gap – and investors are tucking in! This interview comes courtesy of Radio New Zealand. Enter the “Impossible Burger” – a plant-based meal that's claimed to smell, taste and sizzle just like the real thing, but is produced using just a fraction of the resources needed to produce real meat. The idea is to take the animal out of the equation and go directly to the source of the taste, the texture and the smell: the protein. Nick Halla is the Chief Strategy Officer for Impossible Foods, which has received $US150m in investment. Its plant based protein, which imitates ground beef, is on the menu at five restaurants in the US. Halla says the company focused on imitating burger patties. “It’s a big worldwide category, it has a huge impact environmentally, and it’s iconic and delicious.” But, he says, reconstructing ground beef wasn’t easy, as people still expect the taste and texture of a juicy beef patty. He says one of the first tasks was to test all the plant components in the world to see what was available. But blind testing wasn’t effective, Halla says, so they set out to establish what combination of factors make up to the ideal patty experience. If you want more health and fitness inspiration simply sign up to Fit Planet and get the freshest insights and advice straight to your inbox.